Join Cathy Little Bert and Ray Rickman for an Illustrated Talk and Pop-up Exhibit organized by Stages of Freedom. 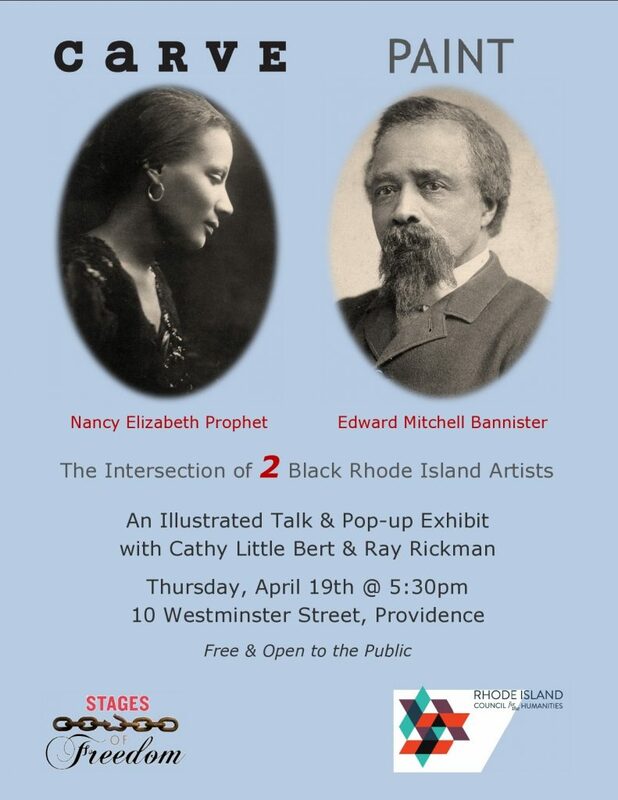 This special program will focus on the intersection of two Black Rhode Island artists: Warwick native, Nancy Elizabeth Prophet, sculptress and RISD’s first graduate of color, and Providence’s landscape artist, Edward Mitchell Bannister, the first artist to win a national prize and co-founder of the Providence Art Club. View their works, including two never-before-seen paintings by Bannister, in this one-day-only exhibit. Free and open to the public, but registration is required as seating is limited. Click here to register today. Carve Paint is supported by a mini grant from the Rhode Island Council for the Humanities.